The photo shown in the background is the gate of one of the few preserved county yamens in China, located in Xiuning's Zhuangyuan Square. 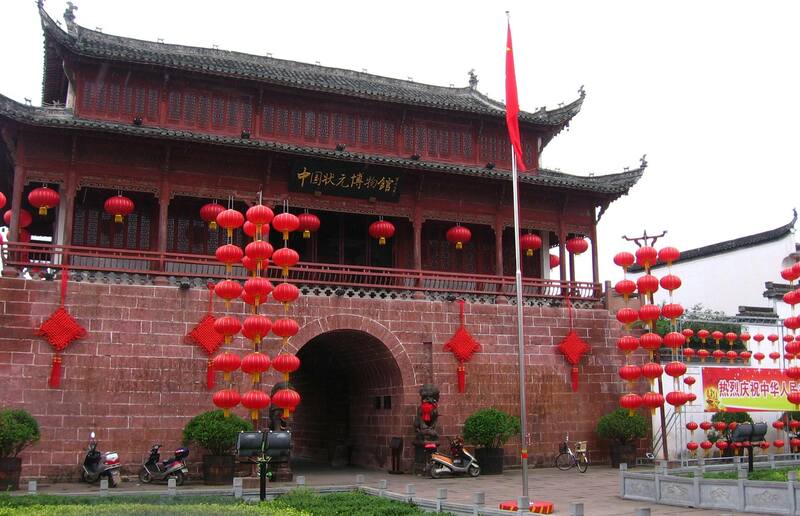 Dating from the Yuan dynasty (1345), this building would have been the seat of the Xiuning government, housing the offices of the local magistrate. Now it has been converted into the national Zhuangyuan Museum (the zhuangyuan was the scholar who received the highest score on the national civil service exam in the Imperial Examination system; Xiuning produced more zhuangyuan than any other place in China).